The House Health Care Committee wants to give a new option to individuals and families who have been required to buy their health insurance through the state's troubled online marketplace. Under a bill that won 9-0 approval late Friday, these folks would be allowed to buy their insurance directly from one of the companies selling exchange-compliant policies beginning next fall, when the enrollment period for 2016 opens. Vermont has two insurers in its health coverage market. "I want to put this in play," Committee chair Bill Lippert (D-Hinesburg) said. 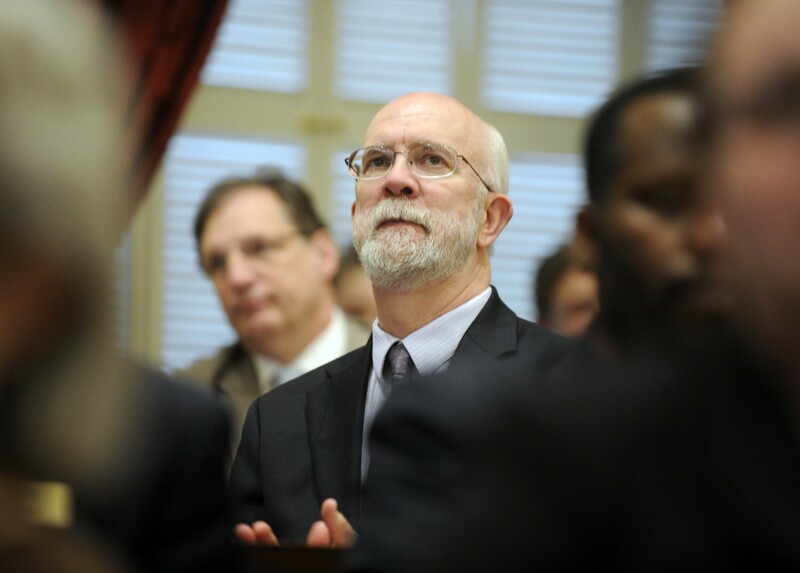 He had the panel vote to meet the legislature's self-imposed crossover deadline. By Friday, bills needed to have emerged from committees to get consideration this session. The administration of Gov. Peter Shumlin and insurance companies voiced support for the policy change. "We are fine with the proposal," Susan Gretkowski, government affairs strategist for MVP Healthcare, told lawmakers Friday afternoon before their vote. When Vermont lawmakers set up Vermont Health Connect, they mandated that small employers and individuals buy their health insurance through the exchange. Shortly after the online insurance marketplace launched in October 2013, Shumlin pulled the plug on the requirement that small employers use the website because it didn't work. They have been allowed to buy coverage directly from Blue Cross Blue Shield or MVP Healthcare. Individuals and families without coverage through employers still had to use the crippled system because that's the only way they can find out if they qualify for federal and state financial assistance to help with their insurance costs. Of the 35,000 individuals and families who enrolled in health insurance through Vermont Health Connect, only 12,000 paid full cost, according to Lawrence Miller, health reform chief for the Shumlin administration. The rest received some financial assistance, he said. Those 12,000 might be candidates for the proposed direct-buy option, although Miller suggested only about 2,000 were likely to take advantage of it. Most people don't make plan changes unless they need to, he said. Miller said the change has been part of ongoing talks between the administration and lawmakers. He noted the only risk is that some Vermonters might choose direct purchase for convenience and miss out on financial assistance. He noted, however, that the insurers had said they would provide information about the federal tax credit and state subsidies to prospective customers. Gretkowski confirmed to lawmakers that her company would inform customers how they could check out their eligibility for financial aid. By federal law, she said, "We can't determine eligibility," nor would her company want to get involved. "We don't want to be asking about income." She suggested a public education initiative if the policy change becomes law. "It needs to come from Vermont Health Connect, but we would be willing to supplement with advertising." The committee had discussed this policy change prior to Friday, and Lippert assured members that the bill could be tweaked.